The zone of milk production for the elaboration of "Queixo Tetilla" includes all the territory in the region of Galicia. 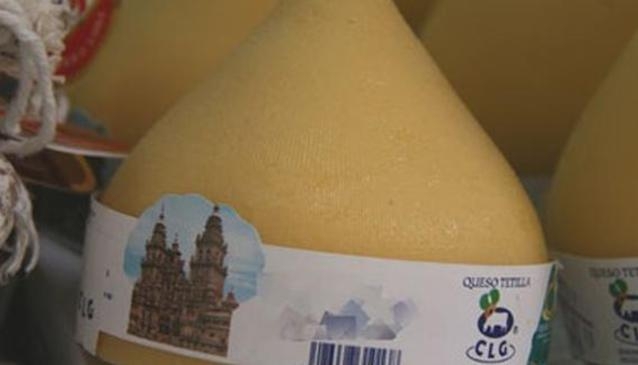 Within this territory the "Queixo Tetilla" cheese manufacturers always use milk from the breeds Frisona, Pardo Alpina and Rubia Gallega, fed according to traditional practices. All the milk used in the elaboration comes exclusively from cattle farms established in the zone of production and controlled by the Regulatory Council. No trip to Galicia and especially places like Santiago de Compostela can be complete without savouring this cheese which is soft,smooth and very eatable! Try it with some quincy or honey.